The Internal Revenue Service has released FAQs on the Paid Family and Medical Leave Tax Credit, which certain employers can soon claim based on wages paid to employees on family and medical leave. The tax credit is effective for tax years 2018 and 2019. How the credit impacts an employer’s tax deduction for wages paid. Check out our Employer Tax Laws section for more information regarding an employer’s tax responsibilities. 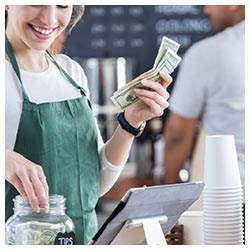 Employers are prohibitedfrom keeping tips received by their employees, regardless of whether the employer takes a tip credit against the minimum wage for its employees. Federal regulations no longer prohibit tip pooling when employers pay tipped employees at least the full federal minimum wage and do not claim a tip credit. Employers who pay at least the full federal minimum wage are no longer prohibited from allowing employees who are not customarily and regularly tipped—such as cooks and dishwashers—to participate in tip pools. However, managers and supervisors are prohibited from participating in tip pools. Employers should remember that some states have different rules concerning tip pools and tip credits. When there are differences between state and federal laws in this area, the law more favorable to the employee generally applies. Click here to read the DOL guidance. For more information on the legal requirements related to tip credits, visit our Tip Credit Rules section. Are Summer Interns Subject to Minimum Wage and Overtime Pay Laws? The primary beneficiary test is flexible, and no single factor is determinative. Instead, whether an intern or student is an employee under the FLSA depends on the unique circumstances of each case. If analysis of these circumstances reveals that an intern or student is actually an employee, then he or she is entitled to both minimum wage and overtime pay under the FLSA. Check out our Employee Pay Rules section to learn more about federal rules regulating employee pay. A previously extended transitional policy that permits health insurance issuers to continue group coverage that would otherwise be terminated or cancelled due to the Affordable Care Act (ACA) has been further extended to policy years beginning on or before October 1, 2019, provided that all policies end by December 31, 2019. Health insurance issuers that renew coverage under the extended transitional policy are required to provide standard notices to affected small businesses for each policy year. 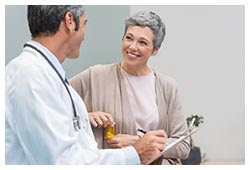 Visit our ACA by Year & Company Size section for an overview of other ACA requirements. At colleges across the country, the Class of 2018 is graduating. Thinking of staffing up your business by hiring a new college graduate? Learn some tips on how to prepare these hires for your workplace by watching the video below. For more hiring best practices, visit our Recruitment & Hiring section.